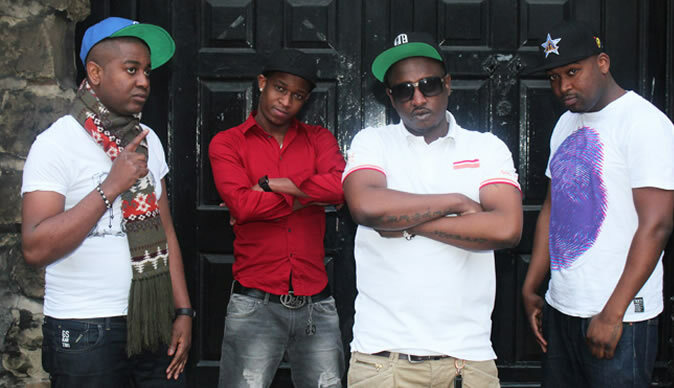 This summer the London based Zimbabwean hip-hop group, "Boyz Retonaz", creates another storm in the entertainment world. This act is gaining fame at an alarming rate as their fusion of hip-hop music with Zimbabwe's two main local languages Shona and Ndebele is sending shockwaves within the UK and abroad. "Boyz Retonaz" is made up of two talented Zimbabwean rap artists, K Slash and Uncle Methaz, who are best known for the mixed tape Usadherere.com created in 2011(for a free download go to http://www.mediafire.com/?v1lqqcf4zz47t). On the 21st of July the world will witness, probably, the most significant phase since the group was formed√É¬¢√¢‚Äö¬¨" the launch of their first Album launch party Tapinda Tapinda. This launch is projected to be one of London's biggest Zimbabwean Summer Parties. Other artists performing on this day will include: Roby Gee, Shanky, Money Bee and Ogga Kattalog. To add on to the build up, the "Boyz Retonaz" duo will perform at the Dereck Chisora vs. David Haye fight after party on the 14th of July 2012. This album Tapinda Tapinda emanated from the project Kuti Zvityise, which features Zimbabwe's finest hip-hop artist and songwriter Stunner. Other artists on this project include Roby Gee, Jusa Dementor, Uncle Kriss, Tia and Hastings. Their publicist - known as AJ - confirms, "This year the group is on an unstoppable run. Their consistence on the UK entertainment scene has earned them well deserved respect and a huge fan base to the extend that plans are underway for them to tour within the country, the United States of America, Canada and Australia. Also, a project is in progress which will see the group recording with Zimbabwean artist such as Nox Guni and JC from Dangerzone". Other collaborations this year include their performance at the much-awaited Zimbabwean show of the year with Stunner, Winky D, Mic inity and other artists in August. This is not the first time the duo has performed with the biggest names on the Zimbabwean hip-hop scene such as Stunner. Earlier this year they released the video "Ndimi MaFanz" with Stunner. Also, they followed it up with another video of their own "Staera Staela"
, which has set the Zimbabwean Music Arts on a new level. For more updates about future "Boyz Retonaz" events link them on facebook https://www.facebook.com/#!/BOYZRETONAZ and twitter https://twitter.com/werboyzretonaz.